The Celt's celebrated their New Year on November 1st & Samhain symbolised the end of summer & the beginning of winter, often bringing 'death' (to crops & so on). As they honoured the dead with sacred fires & wore costumes they believed the boundaries between life & death became blurred on this eve, allowing spirits to 'cross over'. They regarded the presence of these spirits highly & concluded they greatly enhanced their Druid or Seer's predictions. Traditionally predictions or prophesy's made on this day carry much more weight than on another. Not much has changed today as Halloween is a huge festival every year in many countries. Over time this has translated into activities such as 'trick or treating' 'fancy dress' parties/costume events along with games like 'bob apple' - believed to have Roman origins relating to the goddess of fruit & trees. Pomona, was celebrated around this time too. 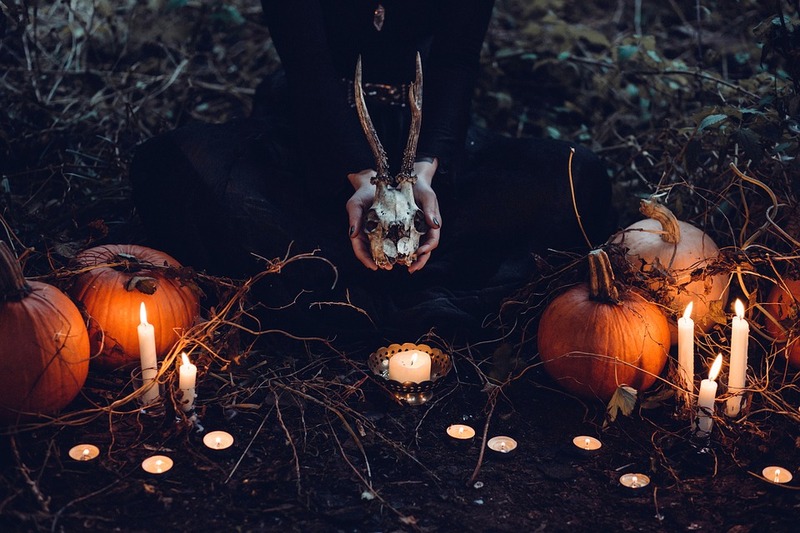 Consequently we have various superstitions associated with apples, like women & girls over the centuries using them to find & predict their true love on All Hallows Eve along with various ways of eating apples for good luck. Astrologically October 31st, heralds several significant planetary aspects. Mercury enters Sagittarius bringing with it the influence of truth, passion & desire. Venus opposite Uranus, driving a need within us to be independent, true to ourselves & free, rather than committed or restricted in any way, so coupled with Venus retrograde leaving Scorpio & entering Libra, this is a time of sweetness & being compromisingly obliging however, with the reminder to honour ourselves as well as others right now. Think assertive, honest communication with the energy of freedom, beauty & light. So what will you do Halloween 2018? Host a Halloween costume Party? Attend a 'sacred fire' happening near you? Prediction & predicting one another’s future is certainly a tradition through many cultures at this time of the year so perhaps it's time to give a reading gift or book a psychic reading for yourself? Like the Celts, the Mexicans & the Church, honouring all saints, those who have now passed & giving thanks for what we have to take us through the coming winter months to the times of spring & 'birth/rebirth' is also a theme as there is a reminder is everything is temporary. Honour, respect, truth, freedom & appreciation are all key words this Halloween so PARTY, eat apples, have an amazing time & incredible amounts of 'spooky spooky' fun!! !